1.) 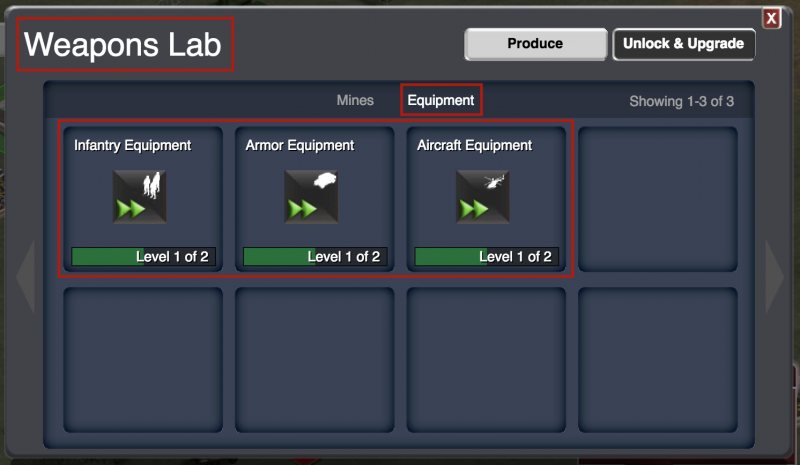 First, upgrade the equipment research tech in the Weapons Lab by going to the "Equipment" tab. 2.) 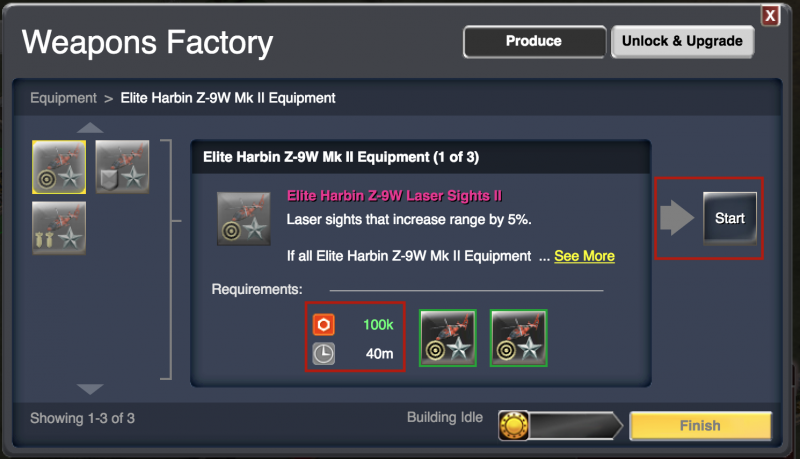 To create an L2 Unit Equip, you need 2 identical copies of the L1 Unit Equip in your Warehouse (same level and name). 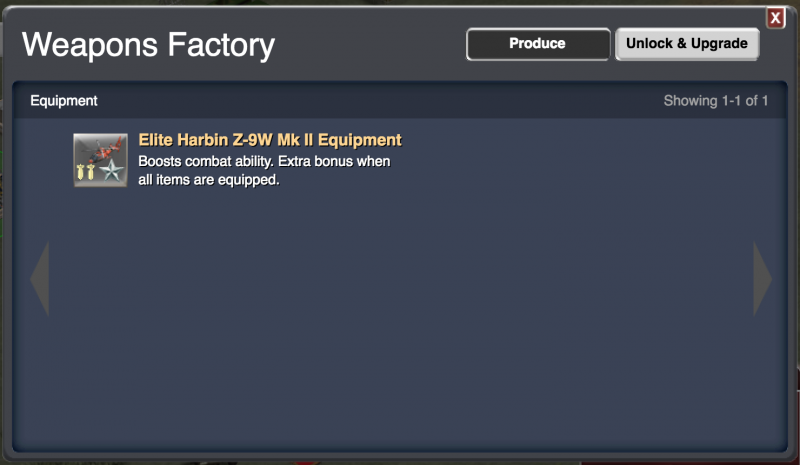 After the upgrade finishes, the item will appear in your loot screen, at which point you can proceed to Equip it to the unit for the boost to take effect. Brilliant but hey hang on where is the part saying after you have done all this the units say for example the elite tos have to be level 15 before you can use the new level 2 ??????????????? In the small print, i.e. the yellow "see more" link. 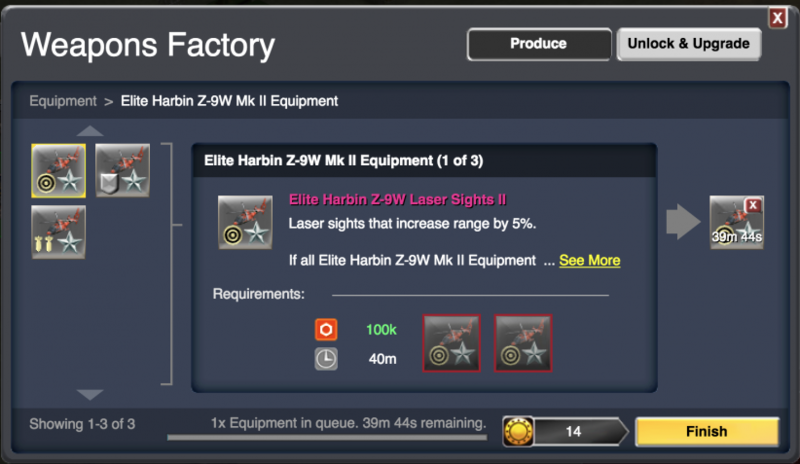 ok fair point I missed that bit but why have different levels for the three items level 15 for laser sight level 10 for ap and level 6 for armour ? question- I have successfully upgraded 3 units to L2 already. Trying to do the Eoh58f chopper and it will not let me buy the second unit needed to go to level 2. I have researched all to level2 . I also have other units that also say i have purchased maxx allowed. 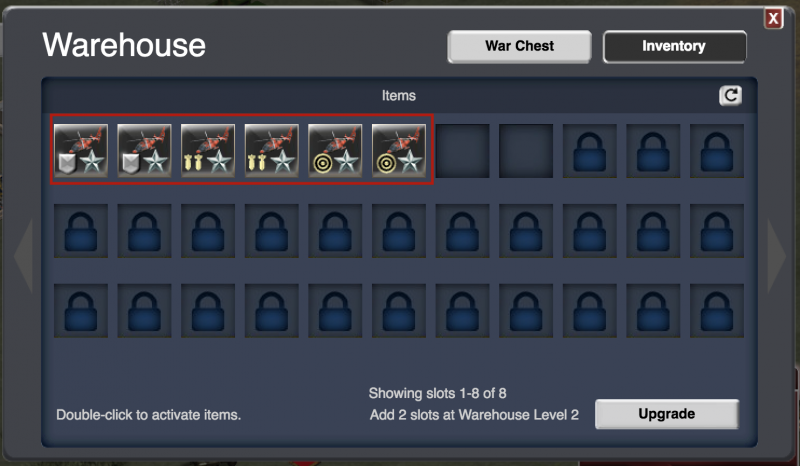 I have equipped with level1 weapons to the chopper and also tried putting the equipment back in the warehouse. WHAT AM I MISSING. I can not advance until i can buy the matching 2nd level1 unit. I'm not sure I completely understand what your problem is here. You cannot have more than two L1 (or L2) leaders of one kind at a time. Are you unable to purchase a certain leader? Some of them are only available during certain events.